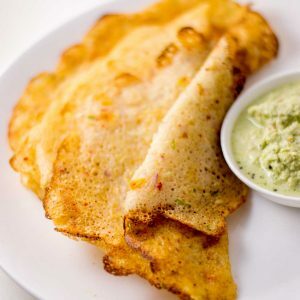 Recipe for sorakkai dosa / bottlegourd dosa. This is a no fermentation dosa recipe popular across Tamilnadu. Recipe with step by step pictures. 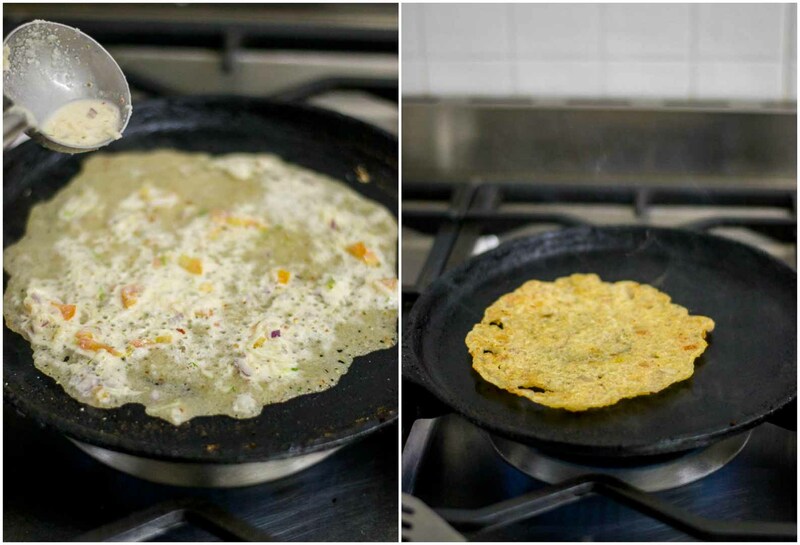 This recipe for sorakkai dosa / bottlegourd dosa is a keeper as its easy to make and requires no fermentation. The idli rice / parboiled rice is soaked and ground along with spices. 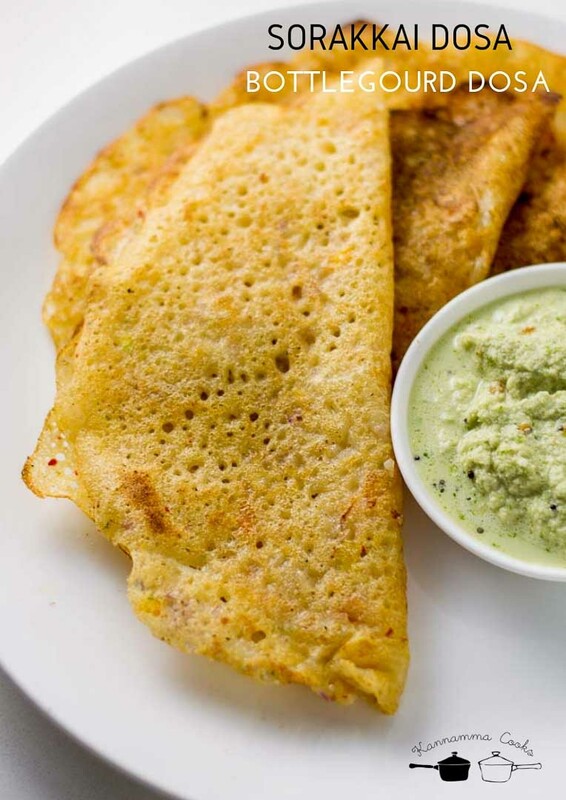 To the batter, veggies are added and made into dosas. The sorakkai dosas are very flavourful. Do try at home. This recipe is from my friend. 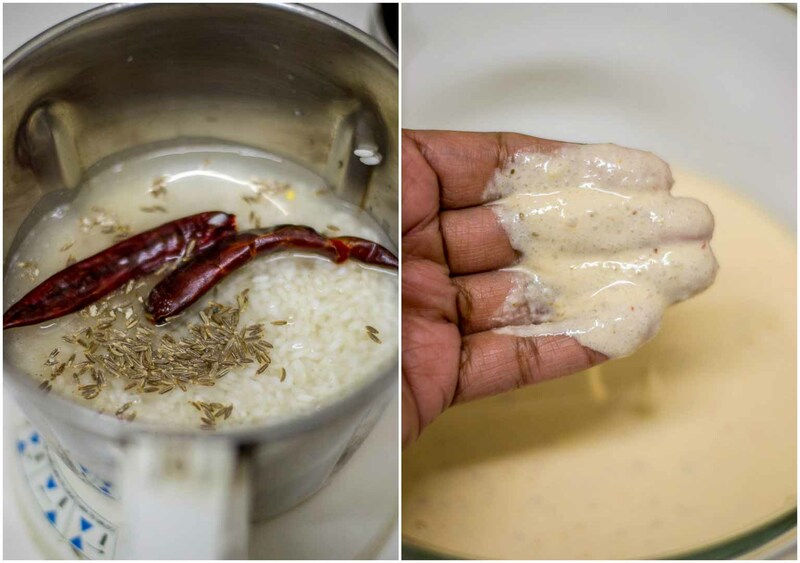 Soak the idli rice / parboiled rice for three hours. Drain and add it to a mixie. Add in cumin seeds and dry red chillies to the mixie. Grind it along with a cup of water to a very slightly coarse paste. We will use about two inch of peeled bottle gourd today for this recipe. (about half cup grated bottle gourd). 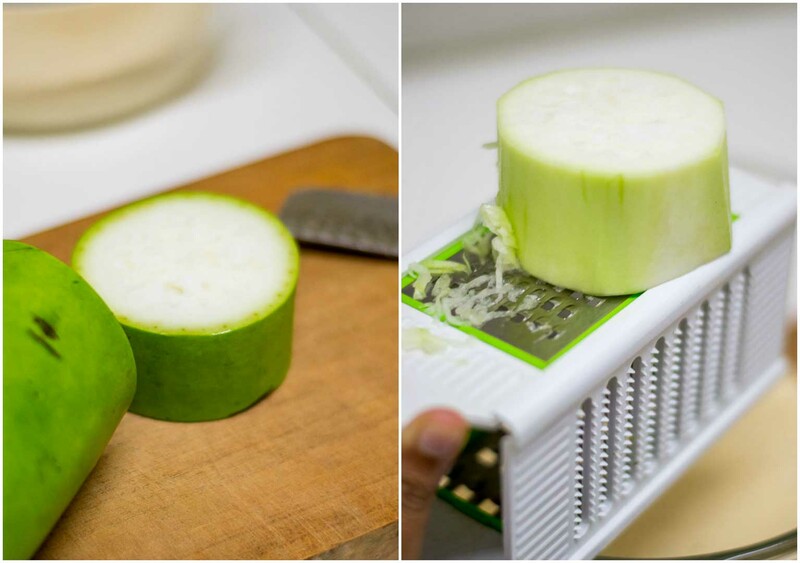 If the bottle gourd is very ripe, remove the seeds and then grate. If its a young bottlegourd, the seeds wont be very prominent. So one can grate as is. Add the grated bottle gourd to the ground batter. Also add in finely chopped onion, tomato, curry leaves and coriander leaves. Add in the salt. I like to make the batter thin as the dosas will crisp up nicely on the griddle. 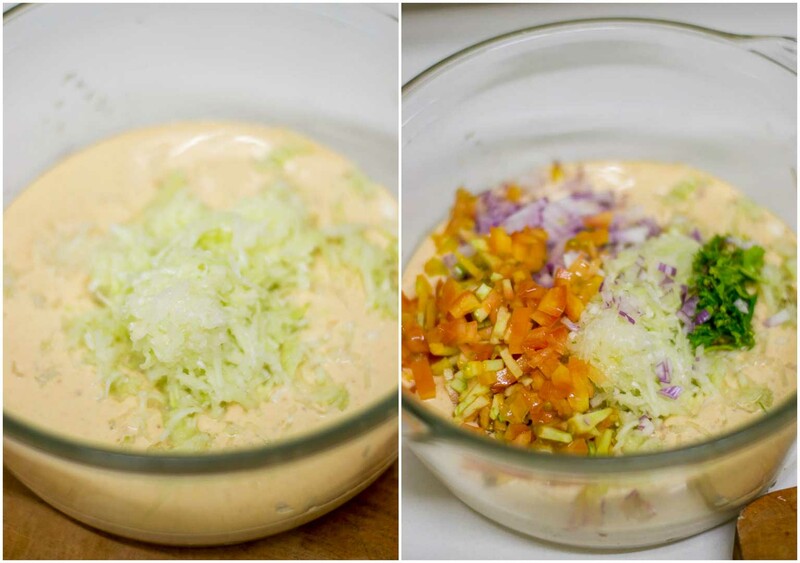 Add water and adjust the batter to desired consistency. Heat a dosa griddle until hot on medium flame. Ladle half a cup of batter and spread it on the pan. As the batter is thin, you will not be able to swirl the dosa. Just spread the batter evenly with a ladle on the griddle. Cook the dosas for a minute on one side. Flip and cook for one more minute. I love the crisped edges. They are the best part of this dosa. Repeat with the rest of the batter. 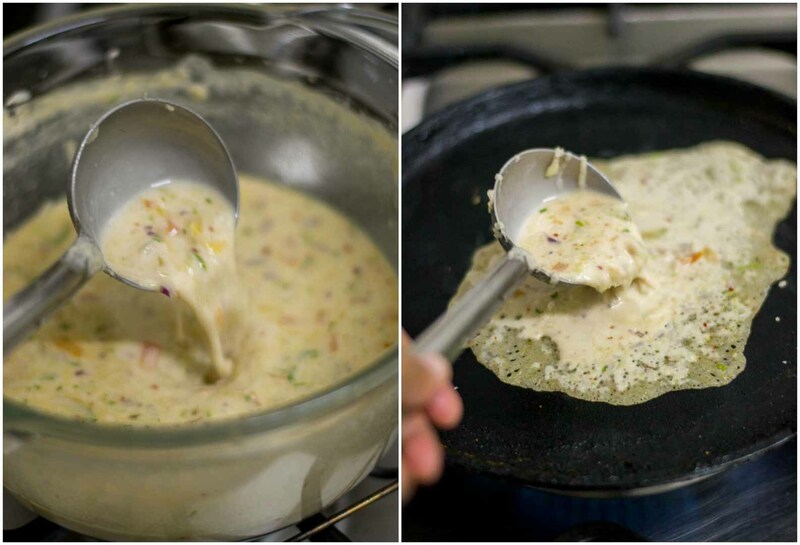 Mix the batter well before making each dosa. Sorakkai dosa is ready. This dosa needs to be served hot just out of the griddle. Serve with coconut chutney. Add the grated bottle gourd to the ground batter. Also add in finely chopped onion, tomato, curry leaves and coriander leaves. Add in the salt. Mix well. 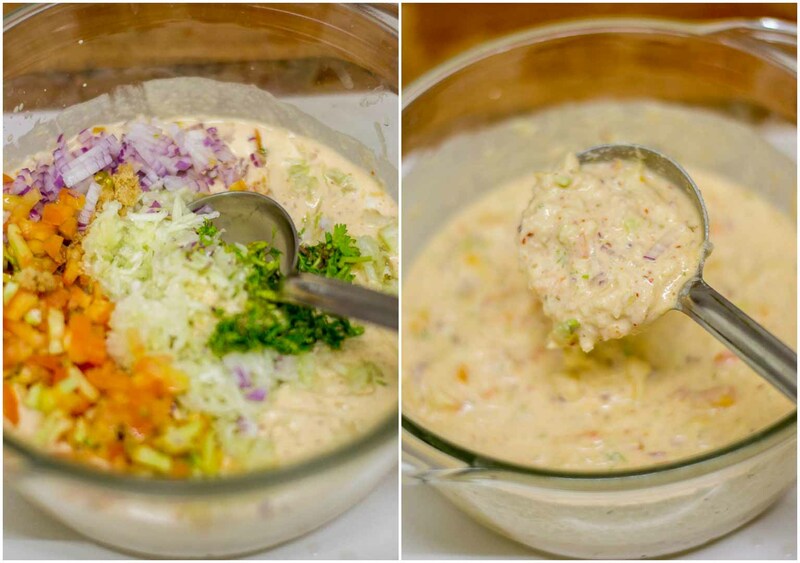 Can we grate and mix the same ingredients in normal dosa batter with urad dal in it?